LOS ANGELES – Feb. 25, 2019 – Production Resource Group LLC (PRG), the world’s leading provider of entertainment and event technology solutions, is pleased to announce that broadcast media veteran, Andrea Berry has joined the company as Senior Vice President and General Manager, Broadcast and Television. In her role, Berry will oversee PRG’s live sporting and special events and scripted and unscripted television teams. “Andrea is one of the most successful and respected executives in the broadcast space today and I could not be more thrilled that she has joined PRG. We are committed to growing our presence in broadcast and television, and Andrea is uniquely qualified to lead that effort,” said Jere Harris, Chairman and CEO of PRG. Berry’s arrival continues PRG’s strategy of major investments in talent, technology and services focused on these markets. In August 2018, PRG acquired VER and, in January, VER’s camera and broadcast divisions were incorporated into PRG, resulting in a full-service offering for entertainment clients. Berry will report to Morten Carlsson, CEO of PRG Entertainment. Berry joins PRG from The G.A.P. Media Consulting Group, Inc., of which she was founder and CEO. There, she developed and executed strategic initiatives for clients focused on live and non- live productions, supporting various categories, facilities and operational structures. Before that, Berry spent 19 years with FOX Networks Group in Los Angeles. While there, she served as the Senior Vice President of Broadcast Media Services for FOX Networks’ Engineering and Operations (Fox NE&O) organization. She also held the job of Senior Vice President, Broadcast Operations, managing all broadcast operations and transmission that supported the broadcast network and all its cable entities. Prior to that, Berry spent eight years at Fox Sports and Fox Sports Net in the roles of Senior Vice President, Field Operations and Vice President, Field Operations Fox Sports Net. Berry began her television career as a studio technician in Chicago at NBC and, later, in New York, as a field technical manager at CBS. Berry is an inductee in the Sports Broadcasting Hall of Fame and is a four-time Technical Emmy Award winner. She also is the recipient of the “Women with Solutions Award for STEM Leadership in the Media” (Alliance for Women in Media); the “Technology Leadership Award” (Broadcast and Cable Magazine); and the “Women in Technology Leadership Award” (TV News Check). 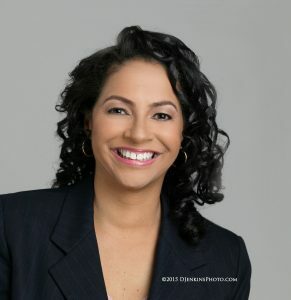 Berry serves on the Board of the NAB Educational Foundation (NABEF), is a member of Women in Sports and Events (WISE) and sits on the Executive Committee of the Sports Video Group. Berry holds a bachelor’s degree from the Illinois Institute of Technology in Computer Science with a minor in Electrical Engineering; an Executive Certificate in “Management and Leadership” from the Massachusetts Institute of Technology’s Sloan School of Business; and an Executive Certificate in New Media Management from the University of Southern California’s Marshall School of Business. She is also a graduate of the Los Angeles African American Board Leadership Institute and the Los Angeles African American Women’s Public Policy Institute.